WATCH MY VIDEOS AT THE BOTTOM! 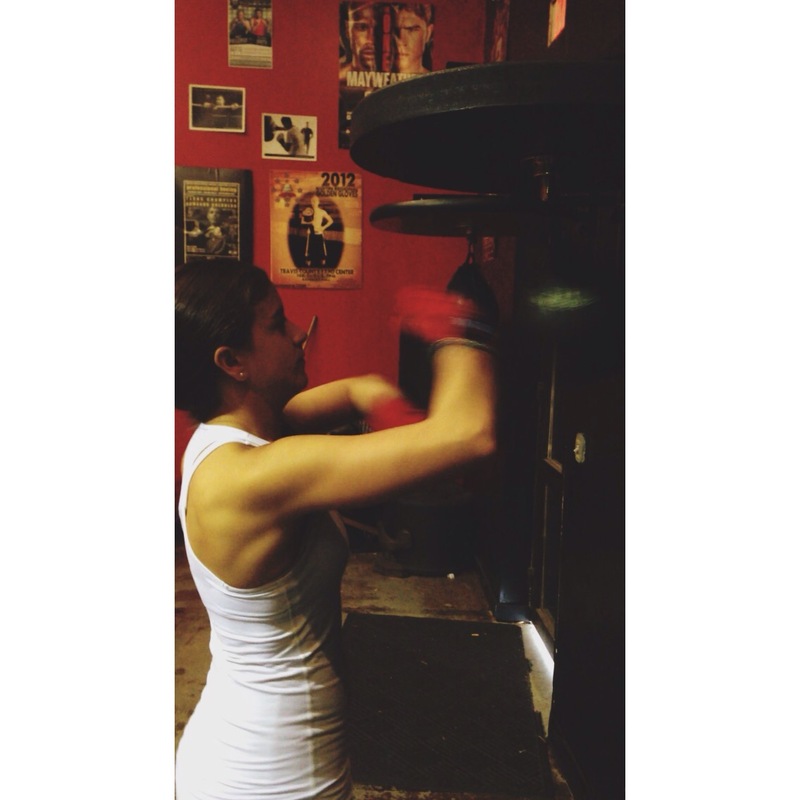 I believe boxing relaxes me very much like yoga. I’m a person that can’t sit still for a long time which yoga is really not my thing. Many people laugh about me doing this exercises because they think it’s dumb but boxing is a mental and physical sport. You have to grow mentally and be disciplined to be better in boxing. Training takes condition and concentration. If you are not concentrated you will not be able to practice correctly. I do this workout additionally with my weight training and pilates. It’s a great cardio and toning exercise. If you are interested and live in Austin Texas you should try at the Fit Bit with Coach Art. Reblogged this on Livi fitness.